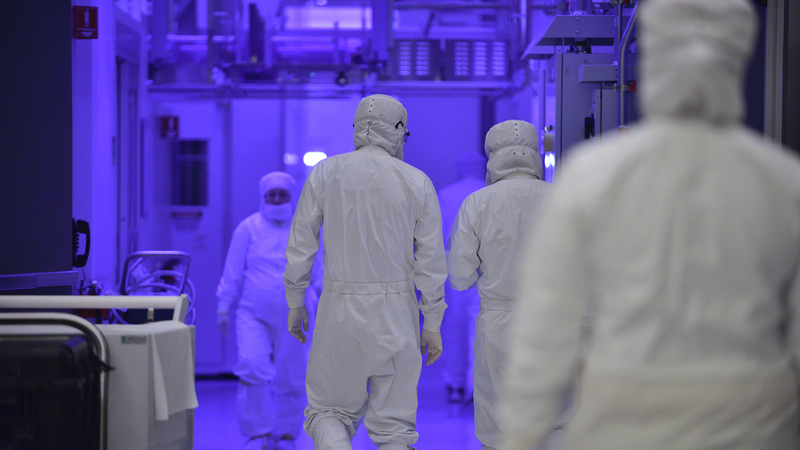 Intel is expected to massively expand its Oregon fabrication facilities to develop future process nodes, likely 7nm EUV. Following up from Intel’s promise to expand in Oregon, Ireland, and Israel, sources close to the company believe Intel is planning to spend billions on a massive expansion to its D1X research factory. 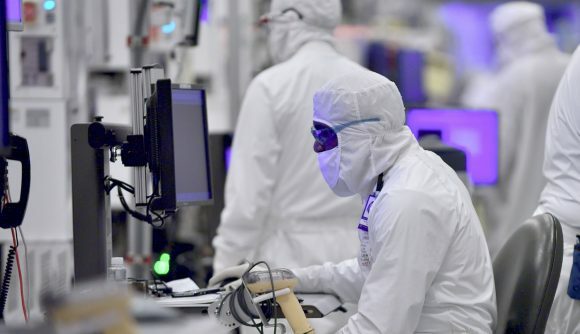 Expected to spend 18 months in construction from June onward, the planned expansion to Intel’s D1X factory will reportedly bear the brunt of Intel’s technical advancement in the semiconductor field. The existing D1X facility was built back in 2010, swiftly becoming Intel’s largest manufacturing facility globally. The new factory capacity is expected to aid in future 7nm EUV process nodes, which are reportedly still on track despite the horrendous delays to the precedent 10nm node. EUV, or extreme ultraviolet lithography, is a lithographic fabrication technology that allows for denser process nodes while minimising complexity. Essentially, the denser the node, the more masks, multi-patterning, and extra steps required to manufacture it, and so a new technology is required to keep Moore’s Law happily ticking over. That technology is EUV, or at least everyone hopes it is now they’ve invested millions in new machines capable of doing it. That’s also supposedly what Intel will be doing with all of its new fab space come 2021 – once its new facility is up-and-running by the timeline given via Oregon Live. The new facility will reportedly be the size of either of the first two phases of the facility, at 1.1 million square feet each. Intel’s 10nm process node has been severely delayed, yet the company hopes to have it ready and shipping by the holiday season this year. Nevertheless, Murthy Renduchintala, CTO at Intel, previously confirmed the company is pleased with its progress on the 7nm process intended to supplant 10nm sometime in the relatively near future. “7nm for us is a separate team and largely a separate effort”, Renduchintala says. “We are quite pleased with our progress on 7nm. In fact, very pleased with our progress on 7nm…. So, we are very, very focused on getting 7nm out according to our original internal plans. “One thing I will say is that as you look at 7nm, for us this is really now a point in time where we will get EUV back into the manufacturing matrix, and therefore, I think, that will give us a degree of back to the traditional Moore’s Law cadence that we were really talking about”. Intel’s spending more and more money on manufacturing ever since its 14nm process fell short of demand. Intel is currently facing AMD, via TSMC, bearing down on its CPU superiority with the 7nm process node. AMD’s 3rd Gen Ryzen processors, built upon the Zen 2 microarchitecture, are expected to launch mid-year, and Intel will be officially playing catch-up in the consumer space once that happens.